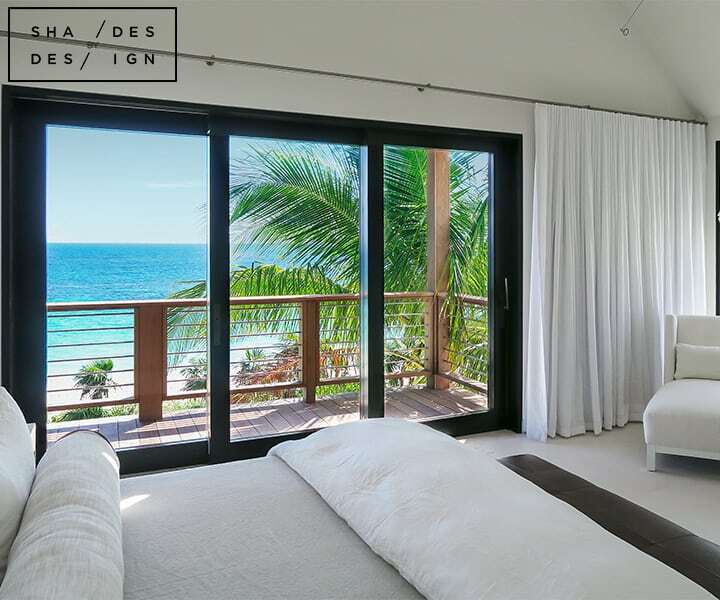 This luxury private residence in the Bahamas offers some of the most amazing beach front views, with the perfect windows to view them from. 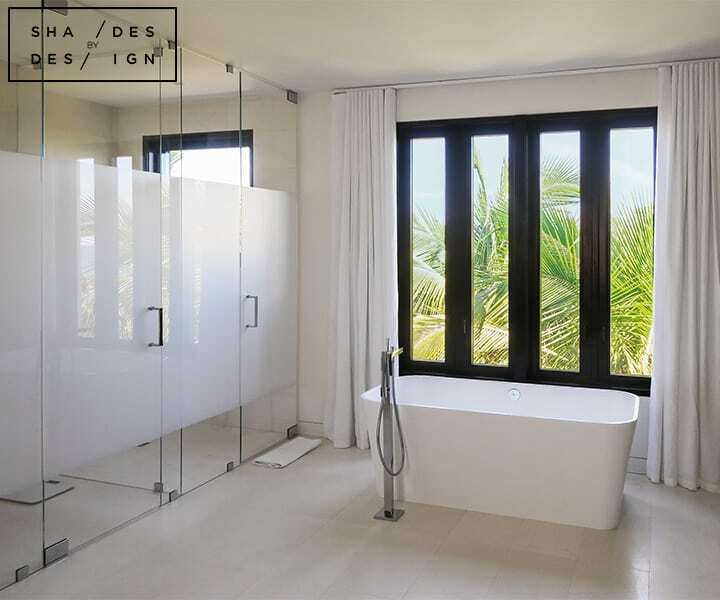 For this client, we created a window treatment solution that would allow them to enjoy their views while having the option of privacy and light control right at their fingertips. 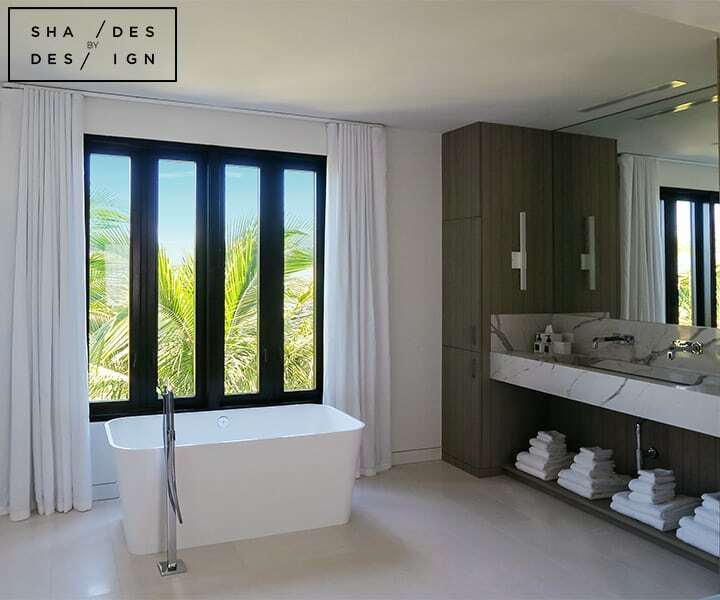 The master and guest bedrooms feature Organic handwoven privacy shades from Conrad Shades and floor to ceiling length sheer ripple fold drapery on a motorized JF drapery track. In the master bathroom, we installed Somfy motorized ripple fold curtains. Finally, for the kid’s room, we installed organic handwoven Conrad Woven Shades.